This Blue Heron is enjoying a Prawn for lunch in Everglades National Park, Florida. What fantastic detail in both heron and prawn. Great capture. Now, here's a happy heron ! That looks like a tasty snack ! Fine capture ! 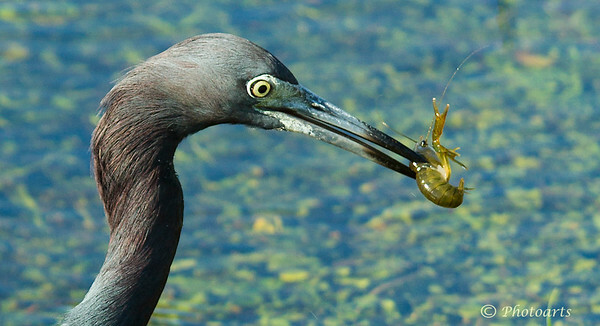 Exquisite shot of this beautiful Little Blue Heron with its meal. Thanks for sharing. The Everglades NP has so much to offer to the nature photographer! !